Rs-LIBMAN is a Windows based software, which is fully integrated with Barcodes and RFID. The Issue and Return, the Dynamic Location Tagging and Stock Verification is also done with the help of barcodes or RFID. This provides the Librarian with an easy, accurate and a quick method of having complete command over the library. The major problems faced by librarians at libraries are accurate management of stocks, issue/return of books, proper shelving of books, checking availability maintaining members details etc. Most of the libraries uses a manual entry system for maintenance of records. But manual entries is likely to cause errors and mismatch in stocks. Improper positioning of any book may result in searching for hours to find that book. Taking all these issues in account we found the need for a strongly built system to carry out the task with ease and assist librarians to do their job more accurately and swiftly. 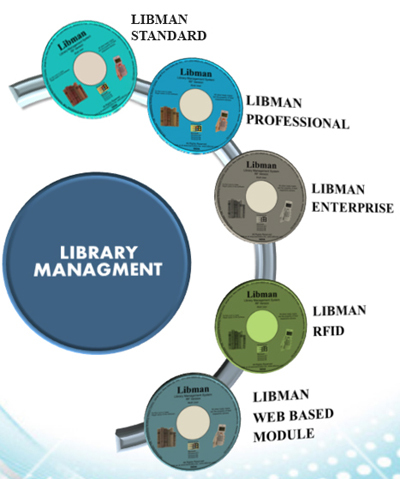 So LIBMAN was built with view to cover all aspects of a library management. Faster stock taking process by just scanning the barcode on each book. 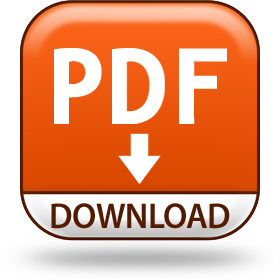 Issue and return process is much more faster and accurate as compared to manual process. Easily track the current location of books. RFID labels can be read without contact or particular orientation. This reduces materials handling, speeds inventory control tasks, and makes circulation process fast, easy and accurate. Line- of- sight is not necessary. Several RFID labels can be read at once- further accelerating all scanning activities. RFID integration is available in two different frequencies High Frequency & Ultra High Frequency. Self-Issue Kiosks for automatic issue/return of books. RS-LIBMAN is a robust window based Library Management software which satisfies the complete need of the librarian. It facilitates the close monitoring of books, CD / VCD's, magazines, journals, vendors, departments, etc. as the updating process is ONLINE. So as soon as a book is issued, returned, freshly taken into stocks, etc. the system updates the data immediately. Paper work is drastically reduced as complete monitoring is done through the computer. There is no necessity of issue slips/issue cards, library cards or book cards. It is vastly time saving as the time required to track and retrieve a book from a shelf is reduced even when the book is not kept at its right place. Errors due to manual entry into a computer is reduced/obliterated. Frequent stock-taking can be carried out more systematically. Vis-a-vis manual checking can be done which saves the valuable time of the Librarians. It generate reminders for late/missed deliveries, expiry of membership, overdue books, etc. Providing the members with an extremely powerful OPAC (Online Public Access Control). Hence it is suitable for small & big libraries, and also for multi locational Libraries. This system is easy enough to be operated by library professionals and powerful enough to be able to handle large databases. A system which is compatible to the international standards of MARC. RS-LIBMAN: Designed To Meet All The Needs Of A Librarian. Maintaining database of members, books, CD / VCD's, magazines, journals, vendors, departments, etc. Purchase invoicing, Delivery monitoring, etc. Generating reminders for late/missed deliveries; expiry of membership, over due books, etc. Locating even the mis-shelved books due to Dynamic Location Tagging. Being able to take faster and accurate stocks. Doing away with library cards and book cards. Ensuring faster and accurate issue and return. Providing the members with an extremely powerful OPAC. Having a system which is easy to operate by library professionals and powerful enough to be able to handle large databases. Customization as per your library's environment. The backend is available in MS-ACCESS/SQL.